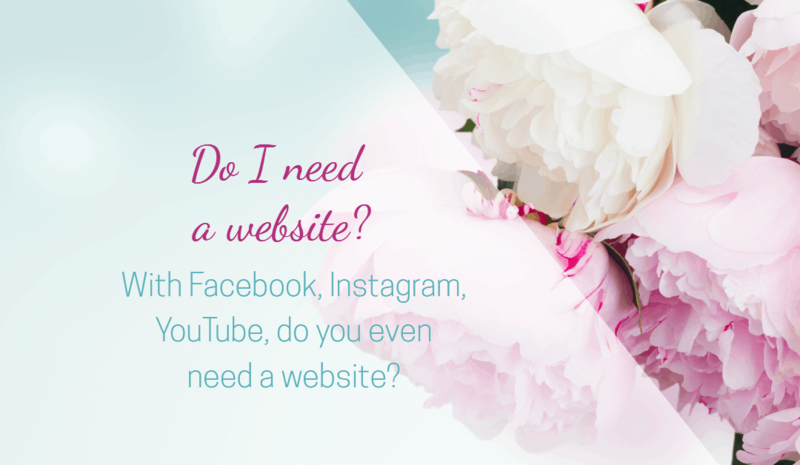 Do you even need a website in 2018 or is social media enough? Do you even need a website? If you have a presence on social media, is it even necessary to have a website in 2018? This is a question that is being asked more and more. And it’s a really valid quandary. But you could get started with a social media platform for free. Yet I work with lots of small business owners, who are just starting out, and one of the first things that they want to get up and running is their website. Maybe surprisingly, my advice is almost always the same. Because when you’re just starting out, you’re going through a process of discovery, and your service offering is evolving. This means that your ideal audience is also likely to change, so your messaging will need to adapt. That doesn’t mean that you can’t start working with clients yet. It just means that you don’t want to expend a lot of energy and resources putting something together which is likely to need a significant overhaul in 6 months time. So where should I start? That being said, there are some elements which to my mind, are non-negotiable for a small business. You need to have a professional presence, both online and offline, even if you’re not entirely sure of your offering yet. a business card to hand out at networking events or even at social events. You never know who may be interested in your new venture when you least expect it – when you’re standing on the football sidelines watching your kids play, when you’re killing time in the airport lounge, or when you’re out walking the dog. Your business card should feature your web address (even though you don’t have a website yet), and an email address. I just said you don’t need a website yet, but you need to feature your web address on your business card. You start with a holding page. It’s a basic page which displays key information about your business such as contact details and key messages. And even if you’re not sure that you’ve absolutely settled on your packages, there is something that you’re offering already. Maybe that’s one-to-one coaching, and you’re finalising your group coaching packages. Or maybe you’re running workshops and you’re just finalising your retreats. What do you need for a holding page? You need a domain name, and a hosting plan. The process for putting these in place doesn’t need to be difficult. In fact, I’ve linked to step-by-step processes that you can follow to get these up and running quickly. This is something that you can do yourself, but if it seems too daunting, I have a program which will complete the entire process for you, and will also show you how to create a holding page so you have a professional presence on your domain name, right from the outset. You can find out more about WP Kickstart here. And for the next 4 days, I’m offering £100 discount off the price, which means you can be up and running with a WordPress installation and gorgeous holding page in time for Christmas, and all for less than £100 (excluding VAT). Use the offer code: WPKICKSTARTHALF until midday (GMT) on Thursday 7th December. Be quick, there are only 30 coupon codes available. This is a perfect opportunity for anyone who is wanting to make the shift for WordPress, or for a start up who is needing some kind of professional presence but isn’t yet ready for a full website yet. And so what about later, when you are clear about your ultimate purpose? What about a website then? Once you have clarity on your direction, and you have a few clients under your belt, now is the time to pull together your website. Your holding page was the stepping stone, and now you can built on that. And if you’re still not sure about whether you should go to the trouble of this when you could have a social media presence for free, my advice is that you absolutely need to have a corner of the internet which you can call home. Your website should be the central hub of all your online marketing. Social media is a powerful marketing tool which you should absolutely use, but you don’t want to use it as your base. You only need to look at some of the social media platforms which have fallen by the wayside (MySpace, Flickr, Blab, Periscope) to know that you could invest a lot in one channel, for it to literally be whisked away from under your feet. Even those who have built up enviable followings on their Facebook business pages have discovered that their reach has radically declined with recent algorithm changes. It’s a little bit like setting up a shop in someone else’s space without a rental agreement. You are completely at the mercy of their rules and the decisions that they make to drive their business forwards, may not always work in your favour. You don’t need to invest in a full blown website right from the outset in your business journey. And indeed, I don’t think you should. But I do think that you should invest in a domain name (which will probably cost you less than £10/year) and a hosting plan so you can host your professional email address (probably around £50/year – less for the first year if you follow the links in the article about choosing a reliable hosting plan). And you should ensure that you include a holding page on your domain name, even if it’s incredibly basic. Feeling intimidated? I’ll hold your hand through the entire process with WP Kickstart. Don’t forget your £100 off deal until Thursday using coupon code WPKICKSTARTHALF. Ultimately, yes, your business does need a website. 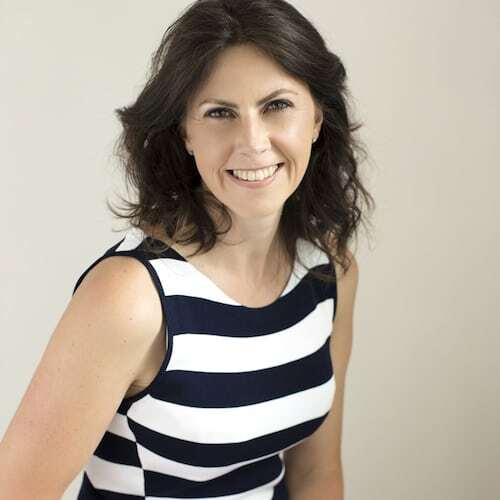 Vicky Etherington has been running her own online marketing agency since 2003, and in 2014 transitioned to working with coaches and therapists to teach them how to create their own client-attracting websites. The programs are about so much more than website creation – they’re about rising above the noise, thriving at entrepreneurship, mastering technology with confidence and staying on track.